ATX-101, a new treatment designed to address excessive fat on the chin, was recommended for approval by an FDA advisory committee this week. Along with his staff at the Advanced Skin Research Center, Dr. Joel Schlessinger has conducted studies on this treatment over the past several years. Dr. Schlessinger has enjoyed working with ATX-101 since the beginning and is excited to add it to his practice. ATX-101 offers a new way to treat excessive fat on the chin, Dr. Joel Schlessinger says. This in-office procedure is a new treatment option to address double chins without invasive surgery. Dr. Joel Schlessinger has seen great results during clinical trials and is looking forward to offering ATX-101 for his patients. “Based on the clinical trials, I am quite excited to have this in my clinic and will be using it for many of my patients who have issues with excessive fat on the chin,” he says. Dr. Joel Schlessinger says this treatment is ideal for patients who want to address chin fat without liposuction. The studies performed by Dr. Joel Schlessinger played an integral role in ATX-101’s success. Dr. Joel Schlessinger and his team worked hard to see ATX-101 through its preliminary stages. Now with the treatment one step closer to receiving FDA approval, Dr. Schlessinger is excited to add it to his practice. The American Psychological Association recently published an article titled “The link between skin and psychology,” which focuses on the relationship between psychological and dermatological problems. The field of study, called psychodermatology, embraces the idea that common skin conditions are affected by psychological issues. In this blog, Dr. Joel Schlessinger sheds light on this idea and why we shouldn’t always blame skin conditions on stress or other psychological factors. It’s difficult to prove skin conditions are caused by stress, Dr. Joel Schlessinger explains. According to the APA, psychodermatology focuses on “skin problems affected by stress or other emotional states, psychological problems caused by disfiguring skin disorders, and psychiatric disorders that manifest themselves via the skin, such as delusional parasitosis.” Psychodermatology is common in Europe but not as commonly noted in the United States. Dermatologists should holistically treat skin conditions, says Dr. Joel Schlessinger. Even if stress does play a role in worsening skin conditions, Dr. Joel Schlessinger says patients shouldn’t have to treat themselves. Instead, he prefers to do what he can as a dermatologist to treat their concerns using more traditional methods in combination with other natural and environmental factors being addressed when necessary. Do you have a question for Dr. Joel Schlessinger? Let us know in the comments. You can’t log in to Facebook, Twitter or Instagram without seeing at least one of your friends’ latest selfies. These self-portraits have become more and more popular due to the rise of smartphones and social media sites and are especially popular among teens and young adults. According to studies, there is also a connection between the rise of selfies and an increase in plastic surgeries. Dr. Joel Schlessinger shares an article from Reuters that explains the connection. 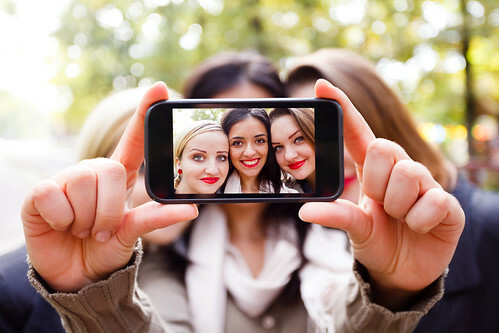 The 25% increase in surgeries may be influenced by the rise of selfies, explains Dr. Joel Schlessinger. According to the article, there has been a 25% increase in requested surgeries such as rhinoplasty, hair transplants and eyelid lift surgeries over the past two and a half years. A poll by the American Academy of Facial Plastic and Reconstructive Surgery reveals that one in three surgeons have seen an increase in requests because patients are becoming more aware of their appearance on social media. Individuals are bombarded by pictures of themselves every day on social media sites, which make them more likely to notice what they would like to change about their appearance. Dr. Joel Schlessinger cautions against using selfies to judge whether you need plastic surgery. You should discuss with your doctor your options for cosmetic surgery and whether it is right for you. If you are not ready for a procedure, clean makeup and a hint of color to the lips and cheeks can make a big difference in how you look in your selfies. Questions or comments for Dr. Joel Schlessinger? Ask him in the comments section! Achieving glowing skin and shiny hair could be as easy as opening the fridge and grabbing a yogurt. In a recent study titled “Probiotic Bacteria Induce a ‘Glow of Health,’” researchers from the Massachusetts Institute of Technology found that ingesting probiotics like those found in yogurt may lead to an improvement in the appearance of skin and hair. Probiotics could improve the look and feel of skin and hair, Dr. Joel Schlessinger explains. In the study, scientists studied the effects of a yogurt containing the probiotic L. Reuteri on the fur and skin of lab mice. The researchers then used a light reflectivity test to measure a change in fur luster. All of the female mice that were observed had shinier coats while the male mice didn’t show a significant difference. The study also looked at increased skin thickness, which appeared in both the male and female mice after eating probiotic yogurt. Based on these results, it’s possible that probiotics could have a positive effect on the appearance of skin and hair in humans. These results are an interesting start but more study is required, Dr. Joel Schlessinger shares. Dr. Joel Schlessinger notes that these early findings are interesting, but more research needs to be done. The sample size for this study was very small and a broader range would yield more conclusive results. Additionally, it would be beneficial to conduct the same study with human subjects to see if there is still a significant correlation. It’s no secret that indoor tanning is dangerous. To see just how harmful tanning beds can be, researchers recently compared prolonged UV exposure with other negative habits. The study results suggest that indoor tanning may result in more cases of cancer than smoking alone. 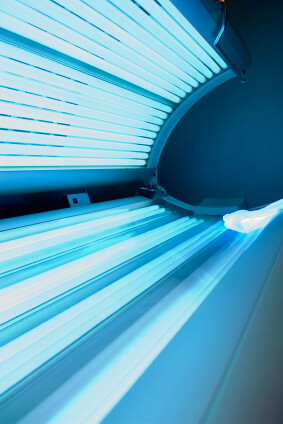 Tanning beds are often linked to skin cancer, Dr. Joel Schlessinger explains. Dr. Joel Schlessinger strongly urges his patients to avoid indoor tanning. The UV lamps in tanning beds give off 10 to 15 times more radiation than the sun, which puts users at an even higher risk of developing melanoma. The study included research that showed how common indoor tanning is among adults and teenagers. Out of the 500,000 people who participated, nearly 36 percent of the adults and 20 percent of the teenagers admitted to using a tanning bed. Researchers also examined cancer rates and found that the number of skin cancer cases outweigh the number of lung cancer cases each year. While smoking causes around 363,000 cases of lung cancer annually, there are an estimated 419,000 cases of basal and squamous cell carcinomas. Additionally, there are around 11,000 cases of melanoma that could be linked to the use of tanning beds. Dr. Joel Schlessinger is passionate about proper sun protection. As a board certified dermatologist and cosmetic surgeon, Dr. Joel Schlessinger is a strong advocate for practicing healthy skin care. He supports the ban of tanning beds for all minors in hopes that it will save future generations from melanoma and other skin cancers. Dr. Joel Schlessinger also recommends wearing sunscreen every day, even if you aren’t exposed to direct sunlight. He is especially supportive of the use of sunscreen in schools, where many administrators have banned the use of sun protection for children. Dr. Joel Schlessinger appeared on the Huffington Post last year to discuss the implications of this ban. Do you have questions about healthy skin care for Dr. Joel Schlessinger? Share with us in the comments. A new study shows daily sunscreen use could slow signs of aging. Dr. Joel Schlessinger explains. Wearing sunscreen every day may help prevent photoaging of the skin, according to a study published in the Annals of Internal Medicine titled “Sunscreen and Prevention of Skin Aging: A Randomized Trial.” The study found that regular sun protection helps prevent signs of aging, helping people look younger longer. Dr. Joel Schlessinger isn’t surprised that sunscreen could be beneficial in more ways than one. Daily sun protection is something Dr. Joel Schlessinger and other dermatologists have stood by for years, but this is the first large-scale study to support this advice. The study had one group of participants use sunscreen with an SPF of 15 or higher every day while another group used the product at their discretion. After four and a half years, the people who wore daily sun protection were 24% less likely to show more rapid signs of aging. The importance of a daily sunscreen is something Dr. Joel Schlessinger stresses to all his patients. A broad spectrum sunscreen is essential because, while all sun protection products fight UVB rays that burn the skin, not all formulas protect against UVA rays that age the skin. Shielding your skin from both aging and burning rays promotes a more youthful appearance. It’s also important to apply sunscreen correctly, says Dr. Joel Schlessinger. UV damage can reach your skin even if you’re inside all day. For optimal results, apply sun protection to your face, neck, arms, hands and any other exposed areas every day. Additionally, most people only apply about 25% of the recommended amount of sunscreen. A full ounce, or the equivalent of a full shot glass, is enough to completely cover your skin. The product should also be reapplied after swimming, heavy sweating or whenever you spend more than a few hours outside. Do you wear sunscreen every day? Share with us in the comments. Treatments that reverse gray hair may also be used to treat vitiligo, explains Joel Schlessinger MD. 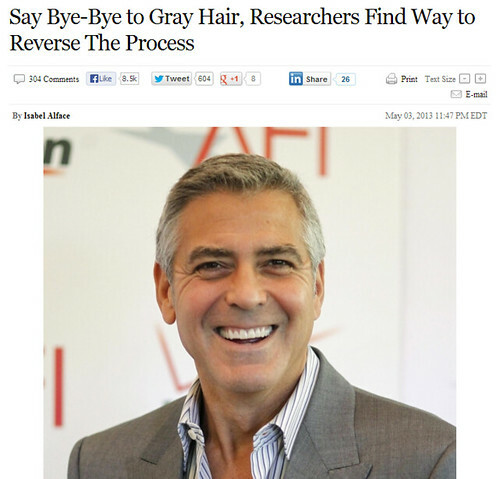 Gray hair is an issue that most people will have to deal with at some point in their lives. While many individuals do not have to cope with this issue until later in life, others may experience gray hair as a result of vitiligo, a skin condition that causes cells to lose melanin, the pigment that gives skin and hair its color. According to a recent article on Nature World News, a new treatment to reverse graying hair may also be used to treat vitiligo. This UVB-activated treatment may reverse gray hair caused by vitiligo, reveals Joel Schlessinger MD, but can also cause damage. Gray hair is caused by a buildup of hydrogen peroxide in the hair follicle that causes the hair to bleach itself from the inside out. 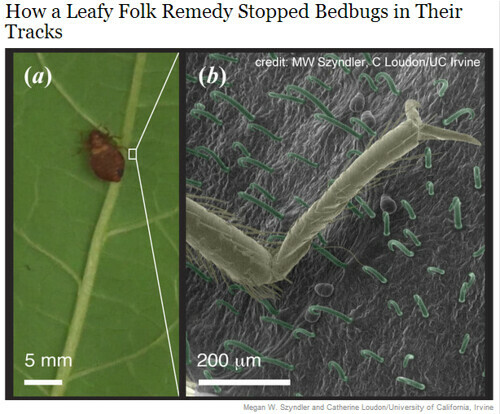 This report suggests that this buildup can be combated using a topical treatment that is activated by UVB light. Research into this skin condition and possible treatments needs to be ongoing, says Joel Schlessinger MD. Vitiligo is a condition that affects millions of people and, while the cause is unknown, it is important to continue to research this issue.